Fashion may seem to be all glitz and glam, but it can serve a higher and more notable purpose — to celebrate the resilience of a beautiful spirit. In this year’s Fashion Can Serve, the fashionable fundraising endeavor of ICanServe Foundation, which is slated on Oct. 13 at the Raffles Ballroom of Raffles Hotel in Makati City, several women will take center stage to promote breast cancer awareness. Aptly, the theme for the upcoming fashion fundraising event is “We Don’t Walk Alone.” During the event, the muses, proud cancer survivors, will walk with a dear friend by their side. “When it comes to fighting cancer and the journey back to health, one is always grateful for not having to walk the difficult path alone, so this time our muses will walk with someone who is either a family member or a good friend who was with them during their battle,” adds Libet Virata, chairman of the board of ICanServe Foundation. A few of the muses who will grace the runway include Bibeth Orteza and her son Rafa Siguion Reyna, mother-daughter pairs Beth Romualdez with Via Reyes, Chuchu Madrigal Eduque with Alex, and Dr. Baby Gozali with Kara, sisters Frances Yu and Crickette Tantoco, sisters-in-law Margarita and Malou Fores (who are both survivors), and Amanda Luym and her close friend Cacay Moras. This year, six of the country’s most talented designers and style visionaries will be a part of the show, including Dennis Lustico, Rosanna Ocampo-Rodriguez, Patrice Diaz, Randy Ortiz, Mark Bumgarner and Patty Ang. Mark Bumgarner, who’s known for his strong yet feminine silhouettes, will highlight femininity with couture creations in different hues of pink, while Rosanna Ocampo-Rodriguez, drawn to the vibrant palette of blooms, will play with different textures and hues to capture the beauty of life. Dennis Lustico, on the other hand, shares that his designs — more than being modernly chic — aims to make women feel confident and beautiful. Lastly, Patty Ang shows off the versatility and comfort of design with her chic silhouettes. Since it was established in 1999, ICanServe Foundation has become one of the biggest and most influential foundations for breast cancer in the Philippines. “At ICanServe, there is a thriving community of women, survivors and volunteers who want to help and are filled with optimism and faith. 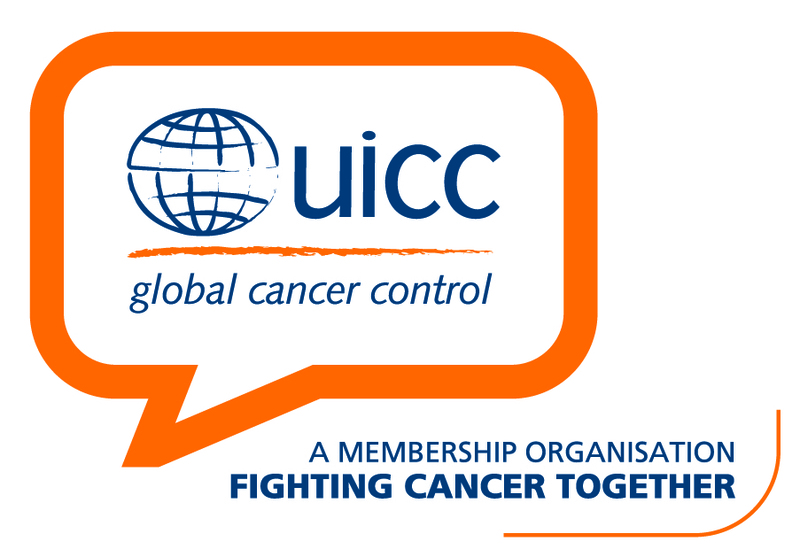 They’ve conquered cancer, so you can, too. It’s inspiring. It’s contagious. It’s lifesaving,” says Kara Alikpala, founder of ICanServe Foundation. Through the Fashion Can Serve fundraising event, ICanServe hopes to raise support for its flagship program, Ating Dibdibin, which was first run in 2007. It is the first comprehensive community-based breast screening program that educates barangay health workers and residents on how to perform the proper breast exam to help detect signs, as well as increase the chances of early treatment. 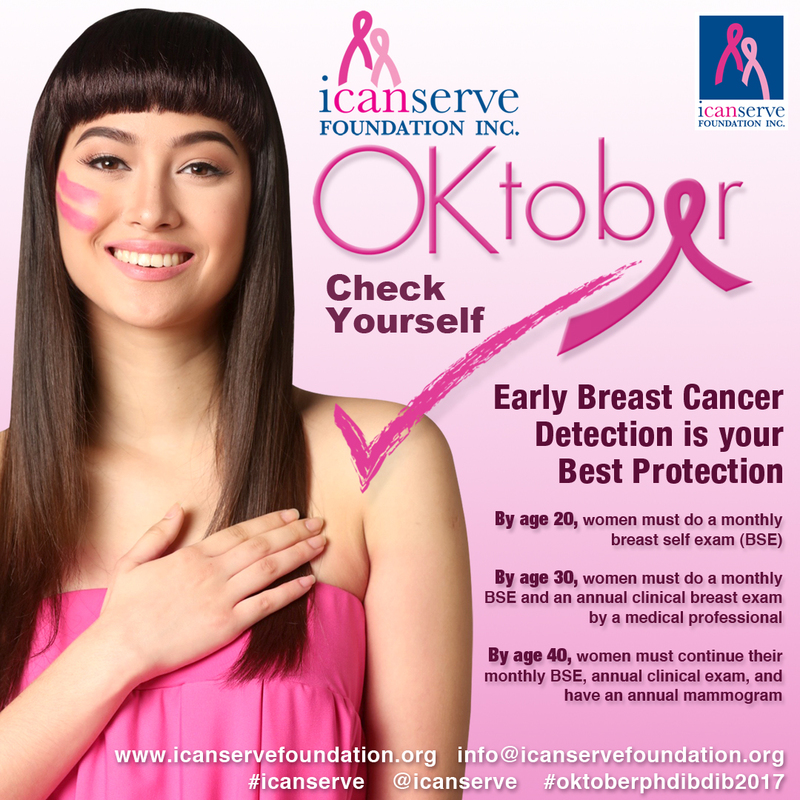 On October 18, 2015, ICanServe members and its volunteer doctors held simultaneous Breast Cancer Awareness forums in over 20 sites nationwide as part of its “OK-tober” campaign. In the past decades, ICanServe Foundation has made great progress in spreading awareness, but indeed, there’s more to be done. This year, Fashion Can Serve is presented by Philip Stein, Sun Life of Canada (Philippines), Inc., Marie France, Security Bank, Del Monte (Philippines), Medical City, Estee Lauder, Mercedes Benz, and Globe Platinum. Media partners include Summit Media, 2nd Avenue, Philippine STAR, Philippine Daily Inquirer, and Golden Touch. ICanServe believes that every voice counts and welcomes everyone in the campaign for breast cancer awareness. Whether it’s through financial or emotional means, every support matters. For information, visit the Fashion Can Serve Facebook page, email fashioncanserve@gmail.com or text 0917 586 3308.